Book your place on our Low Voltage Cable Jointing and Terminating course Stockton today by filling in our online booking form to the right, or by calling the team directly. This version of our low voltage cable jointing and terminating courses focuses entirely on working with dead cables. 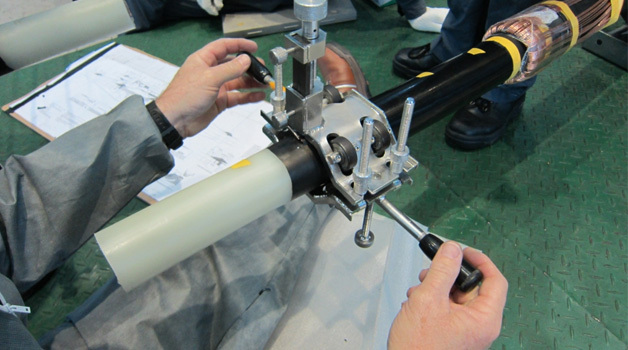 We also run an alternative version of this course where you’ll perform jointing and termination on live cables. Learn to safely prepare low voltage cables ready for jointing and termination with this LV training course. After completion, you’ll be able to install almost any joint or termination by any manufacturer and will also learn the correct methods of correctly stripping low voltage dead cables. The course takes place at our Stockton-On-Tees venue in Teesside, situated in the heart of North East England. It’s within easy access of Durham, Middlesbrough, Sunderland & Newcastle and for those who want to attend the training from further away, there are plenty of local hotels, bed and breakfasts etc. in the area with easy train links to and from our venue.